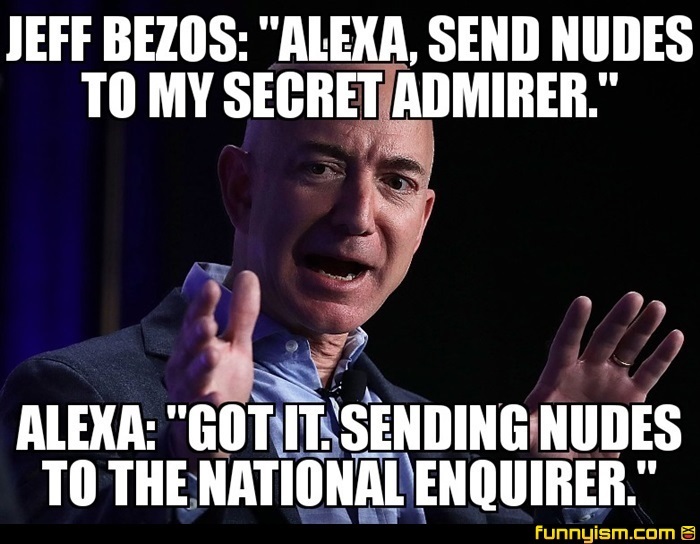 The national Inquirer tried to blackmail him with nudes and he just sent out his own nudes, a power move. Not sure who in this story I dislike more. Everyone is a villain.